In two different houses, I have built a sunroom that has become a dog room. 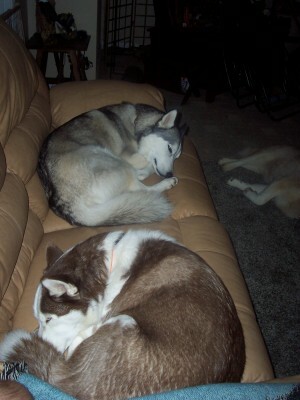 In the first house, I really planned it as a sun room, but the dogs, dog beds, etc., took over. 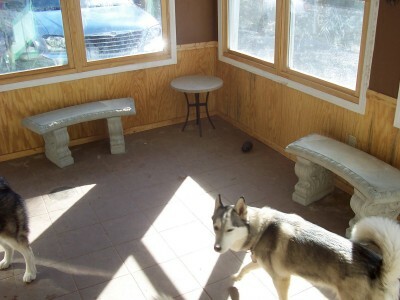 In the second house, I planned it as a dog room and there was no doubt of its purpose. 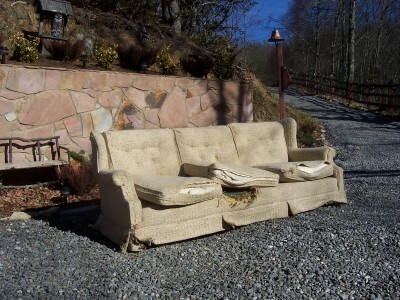 So, you want to see the end result of my being nice and giving them actual furniture in their room? First, a disclaimer. Yes, I am a guy. 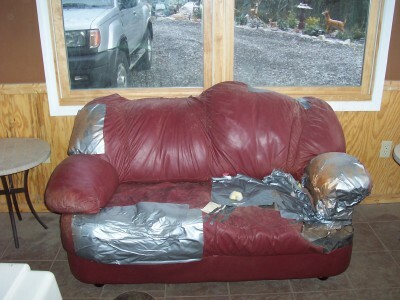 So everything can be fixed with Duct Tape. Well, almost everything. That has got to be the funniest fing I have ever read! I SO did not see the end comin! I can’t wait to read more! I’ve just spent a little time perusing your site and loving your beautiful herd. I also have a love of duct tape and bless the person who invented it. But I laughed out loud at the current furniture. Good one. My husband just duct taped our windows in the manor house living room. It’s ok because they could use a paint job anyway, but with this latest storm of the century, the wind was coming in. 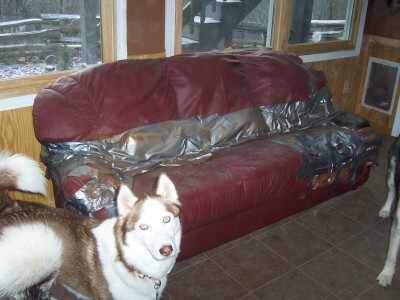 Love duct tape. 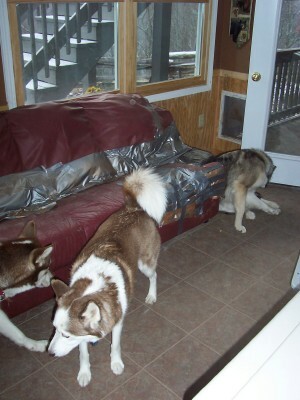 This is SO funny and so husky typical too! 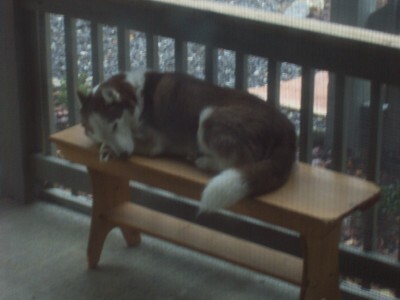 LOL The current furniture doesnt look as comfy or as much fun to destroy as the previous two…. darn it! 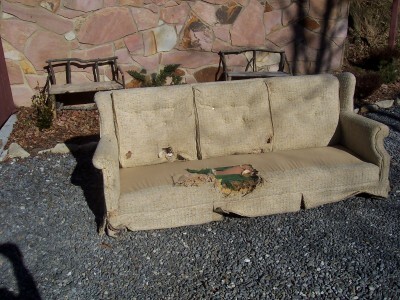 I had better not let Rya & Shamook see the frankencouch, I dont want them getting any ideas..LOL!! Love your site and your sibes are just beautiful. I love the current furniture! Sibes do tend to get a bit overexcited with their own stuff. Dashi decided that a kennel with a door wasn’t good enough and modified it to a kennel with only three walls – sort of an open-plan kennel… unfortunately it apparently needed the fourth wall to keep it square so he now lives in a three-walled, sagging-roofed kennel – but he still maintains the view is much better this way! You gotta love a dog with an opinion. Just going through the site more deeply and enjoying the stories and your writing very much. 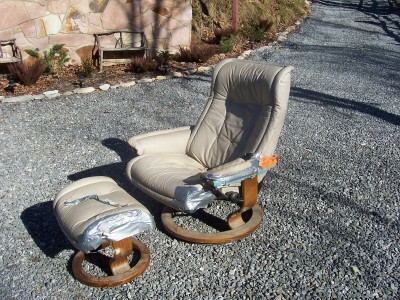 You should see the interior of my car!! Just found your website and absolutely love it! Siberians at their best/worse. 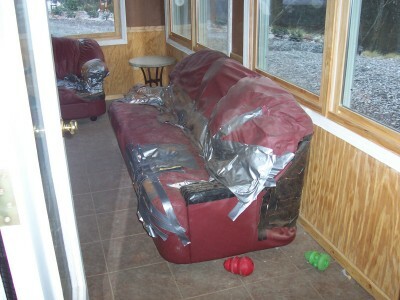 The poor couches look just like my futon- minus the duct tape! It doesn’t take them long to destroy ANYTHING. 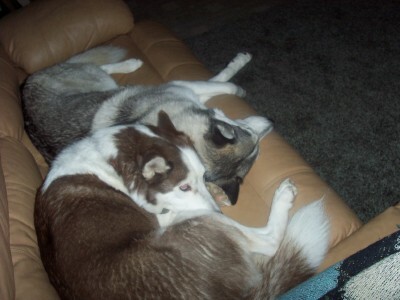 However, they make up for their destructive side by being so loving, funny, and smart. Did I forget stubborn and escape artists??? Nah, never! I can totally relate to that. My Dogue de bordeaux, Griffen, started out with a funky purple 2 seater couch, after that was eaten he got a plush squishy bed, after that went the way of the couch he got a thick piece of foam. He’s now sleeping on a thin hessian mat. I have not laughed so much in awhile!!!! This was awesome & I loved the furniture pics!!!!! I love to see dogs that rule the house!! I really had a good laugh as I could relate to what occurred , I look forward to future posts.. I actually laughed out loud at the ending. The best thing to do before going to bed! Thank you very much. I have a couple of Collies and one of them can do quite a bit of damage, so I can relate. surfing your archives and this made my early a.m. wake up call worth it! HA! I understand this ALL too well, lets see, my oldest sibe has managed to tear up the black plastic part of her kennel in 6 pieces, she has destroyed EVER fluffy stuffy comffy bed I have bought her; she prefers to sleep in FLUFF balls! lol she loves stuffie animals and carries them around the house, to kennel and to bed until they are eventually so shredded that mommy toss them out and replaces them with another. 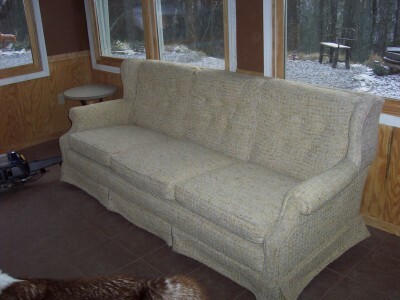 I have recently had to tear up the carpet in our new house because our puppy tried to remodel the living room, as well as the big swivel chair that we have! when she was about 10 weeks old she chewed a GIANT whole in my favorite blanket; thank goodness I am only 5’4 and the blanket is a king size! but all in all I would not trade my stubborn, troublesome sibes for anything! OH did I mention the time my eldest got her doggie cone off her head and tore it up into a thousand pieces–mind you, this was a safetey cone to keep her from scratching her eyes when she had surgery(our eldest had a genetic disorder that caused her to have cataracts in both her eyes at 8months old) she was placed in the kennel; I come home after being gone from the grocery store for 5 minutes; the cone is off, and in a MILLION pieces; Cone #2 only sustained minor injuries but only if I did not leave the house or turn my back to her for more than 5 minutes! Love your site! I have to make sure my Sibe doesn’t read it or my furniture will be in trouble. I really should have kept tract of how many times i watch the lovely Miss Kiska grooming session. My beloved Cody, a mal sibe X was the sweetest dog ever and hated to be groomed. I would go through bags of treats getting him to stick around to finish combing his beautiful self.. it brought back so many glorious memories. Thanks for the lovely hairy evening enertainment. I managed to get enough fur in one year alone for two wonderful scarves and very warm hat. The dog wool had just enough sheeps wool to make it spinable and knitable. It was by far the most warm and water proof winter ware ive ever owned. Sadly the things were desteroyd by a friend careing for the house during a long absence. Perhaps you should gather up the heards hair and sell it on the web as the new coutch fund for the heards comfort and enertainment! Natasha’s Nick Saban Death Stare is the best thing I have seen on the internet in a while. I am so glad I ran across your FB page.